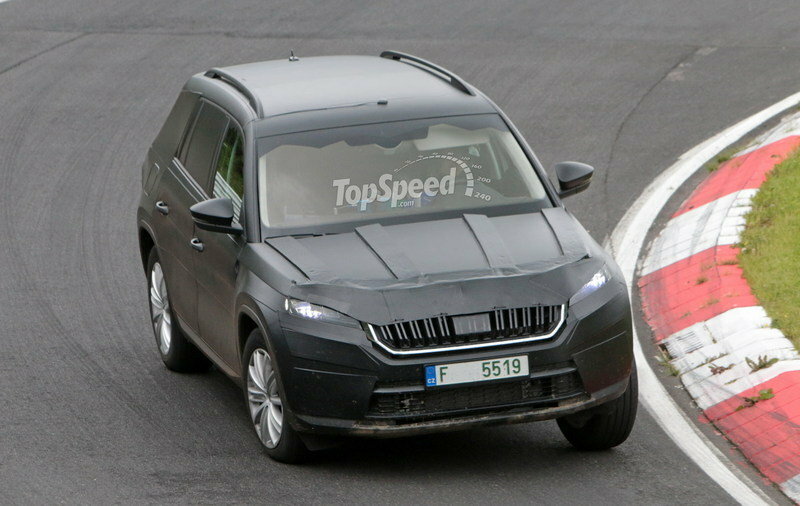 After months of teasing us with images of the new Kodiaq Skoda has finally spilled the beans. Of course, photos of the car were leaked a little before the official debut, but now we finally have all the fine details. As Skoda’s second crossover after the Yeti, and with all the hype that has come before it, the Kodiaq has some pretty big shoes to fill. Offered at launch with the choice of five different engines, three different transmissions, an elegant interior, and a sharp exterior, it shouldn’t have too much of a problem filling its role. The Kodiaq is pretty elegant and sporty, and it needs to be, considering it competes against the likes of the Mercedes GLC-Class, Audi Q5, and – as far as price and power goes – the BMW X3. Highlights about the car include a luxurious and functional interior, seating for seven, and some DNA from the Skoda VisionS that debuted earlier this year at the Geneva Auto Show. So, with that said, let’s dive on in and take a look at the all-new Skoda Kodiaq and why Mercedes, Audi, and even BMW should be worried. 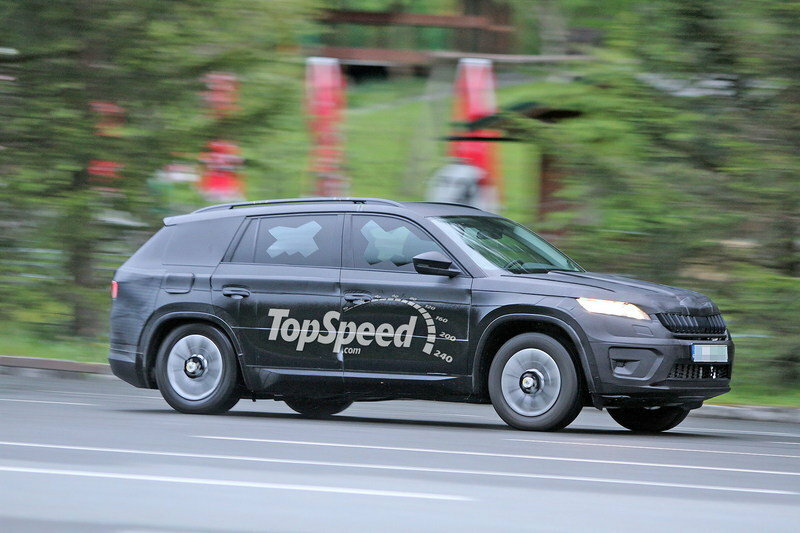 Updated 09/01/2016: Skoda dropped the official details on the new Kodiaq with just one month before its official debut at the 2016 Paris Auto Show. It’s pretty clear that Skoda put a lot of work into designing the Kodiaq. The front end is defined by the muscular hood and those narrow headlights with bright LED daytime running lights. A pair of fog lights sit just below the headlights, flaking that black grille that is outlined in silver or chrome. Oddly, the grille somewhat reminiscent of Kia’s tigernose grille, but it sports just enough uniqueness to set it apart. Down below a wide air dam runs from one side to the other, with a small black louver that runs horizontally just above the center point of the air dam. The front end is defined by the muscular hood and those narrow headlights with bright LED daytime running lights. Moving over to the sides, there are two distinct body lines to talk about. One runs from the point of the wraparound headlights all the way back to the point of the taillights. Down below, another body line runs between the wheel arches, giving a 3D look to the lower side of the vehicle. Like the front lip on the front fascia, the side skirts are also finished in black. A circular body line runs around the wheel arches, almost connecting to that lower body line – giving the side profile a pretty elegant look. The side windows get progressively shorter as you move closer to the rear of the vehicle, matching the overall contour of that sloping roof. There are roof rails up top, but they are thin and likely more for looks than functionality. Around back, the most defining features are those unique taillights and the reflector that runs the full width of the rear fascia. Those taillights wrap around onto the rear quarters but have a unique shape to them. The C-shaped LED in the taillights stands out to give a 3D-like appearance, and the reverse lights are located on the rear hatch. A sharp cut-out in the rear hatch connects the inner points of the taillight units together. A small overhang dominates the rear glass, while it’s only normally to see a small wiper down below. The lower portion of the rear fascia is finished in a glossy black, just like the side skirts and the front lip. 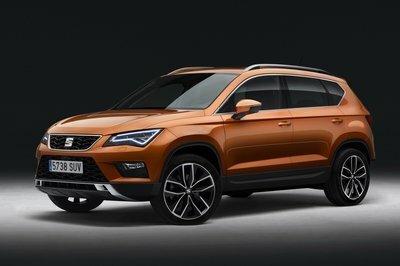 All told, the exterior design is clean and smooth, while providing just enough character to make the Kodiaq stand out in a world that is, quite honestly, overpopulated with SUVs and crossovers. Unique Design or Genetic Clone? 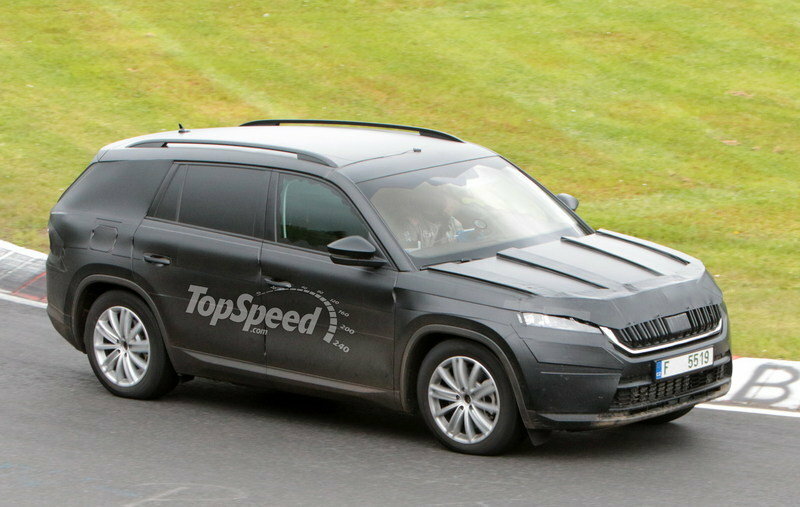 Now that we’ve talked all about the exterior look of the Kodiaq, it’s time to point out that while the badging says Skoda, the look says Audi. More specifically, the look says Audi Q7 with a little bit of altered DNA. Take a look at the side-by-side shot above. 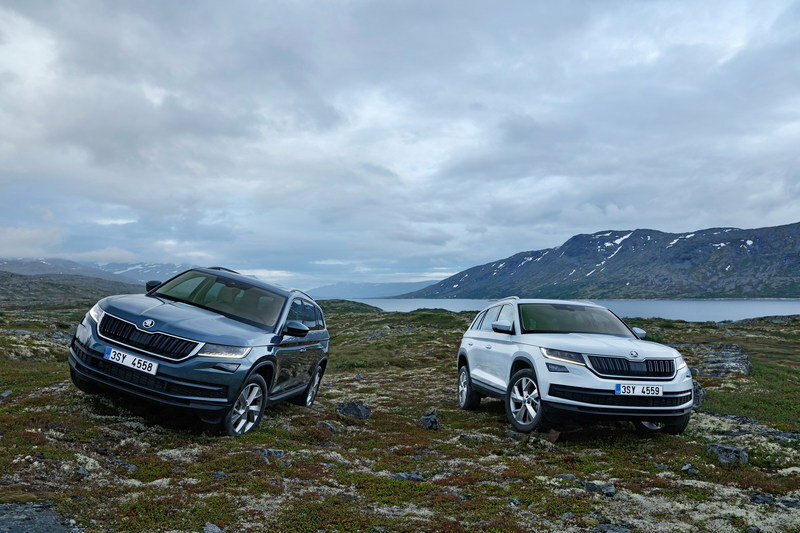 To the left, you see the new Skoda Kodiaq and to the right, well that’s the Q7. See a resemblance? We sure do. Outside of the hood, grille (which is almost a rip off from Kia’s Tigernose grille) and the wide air dam, this thing is quite literally a Q7 on the outside. Notice how they both share identical body lines above the door handles and down below the between the wheel wells? And, what about the contour of the wheel arches, or those short roof rails? 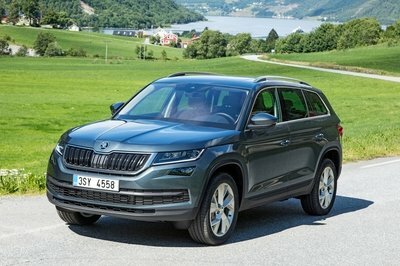 As much as I commend Skoda for doing a good job on the Kodiaq, as it is a big step for the company, I have to say it dipped a little too deep into the Volkswagen gene pool and brought up a little too much Audi DNA. Of course, VW is the parent company of Skoda, and we all know how similar everything under the VW umbrella looks, so it really isn’t that surprising. I have to say that, upon initial inspection, I’m pretty impressed with what Skoda has done here. The interior is appealing in a number of ways, and it looks like it walks that fine balance between functionality and luxury. There are a combination of hard and soft-touch surfaces here and there, but I am a little concerned about the construction of the dash, door panels, and other trim components. While they do appear to have a rough-like texture that somehow fits the overall feel of the cabin, I question just how cheaply made all of the hard plastic really is. We’ll know a lot more when we see it in person, but I fear that Skoda might have cheaped out on the harder surfaces. The seats are wrapped in leather, with perforated and textured seats in the front and rear. There appears to me some small wood inserts on the door trim panels and the face of the dash on the passenger side. The instrument cluster features two large gauges with small gauges at the bottom. A small TFT display screen is positioned in the middle. Moving over to the center stack, you’ll find a touchscreen infotainment display in “sophisticated glass design” that is said to have “simply clever” operation. This display along with the center console acts as a dividing point that separates the front driver and passenger. Not a bad design, but I still question the quality of some of the materials. 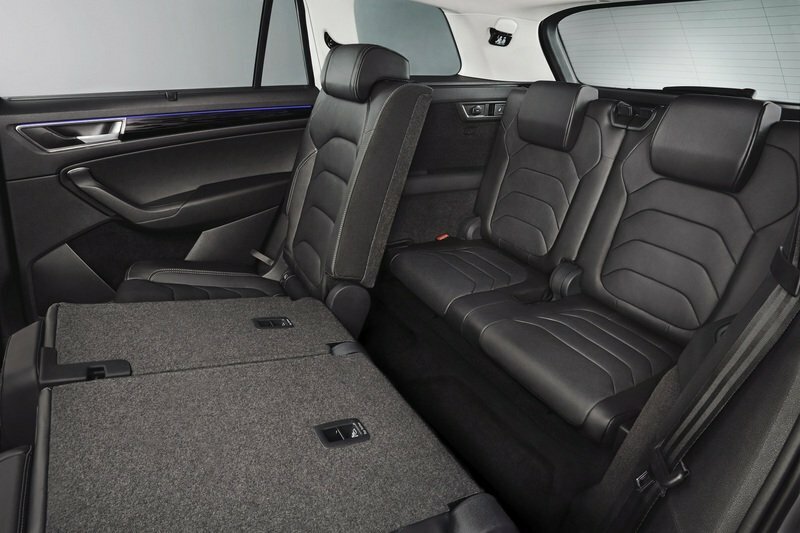 The rear seats are similar to that of the front, featuring the textured inserts in the seat cushions and a body-armor like design on the seatbacks. There is a small wood insert on each of the rear door trim panels and a small blue pinstripe that accents the insert, just like you see on the front doors. Both rows of rear seating fold down, bringing interior cargo room up from 25.42 cubic feet to as much as 72.92 cubic feet. 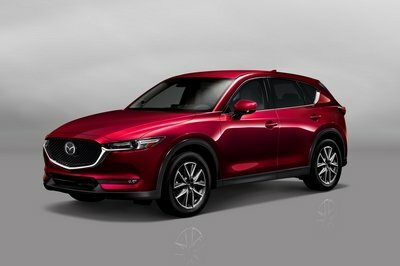 All told, it’s a pretty nice design, and I do lean toward the term elegant here, but it seems to me as if the rear seats sit considerably low in the rear. My interpretation of the rear seats leads me to believe that the top of the door panels will sit about neck level with rear passengers, which could be a little awkward for those who aren’t six-foot tall. 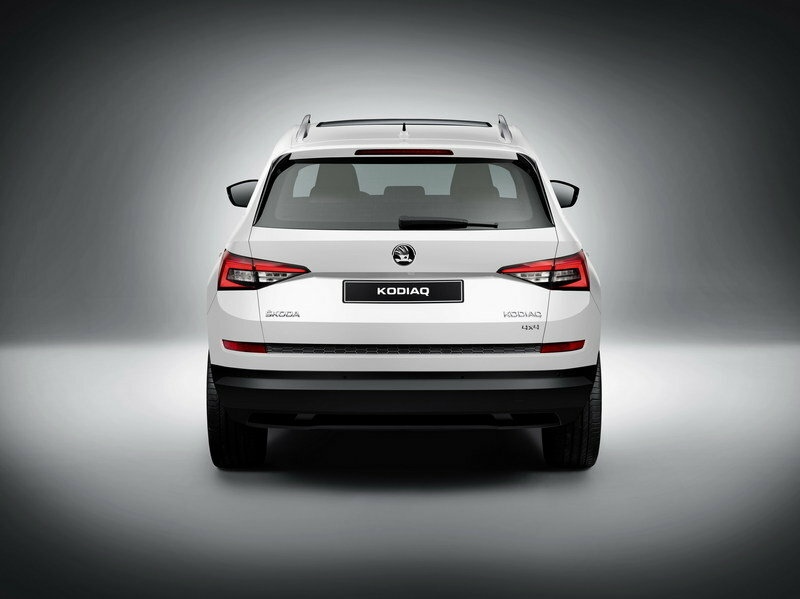 The Kodiaq is available with one of five different powertrains. There are two diesel options and three gasoline options, all of which are turbocharged and feature direction injection, a start-stop system, brake energy recovery, and a thermo-management system. On the diesel front, there are two variations of a 2.0-liter turbodiesel that deliver either 148 horsepower and 250 pound-feet of torque or 187 horsepower and 295 pound-feet of torque. On the gasoline front, the 1.4-liter TSI four-cylinder is available in two flavors. The first brings 123 horsepower and 147 pound-feet of torque while the uprated version offers 148 horsepower and 184 pound-feet of torque. 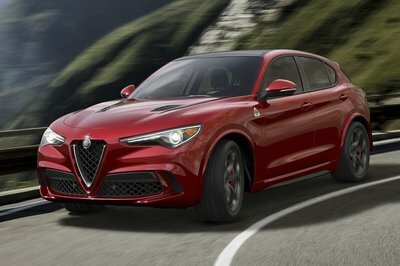 There’s also a 2.0-liter that offers 178 horsepower and 236 pound-feet of torque. According to Skoda, the entry-level diesel engine delivers an average of 56.5 mpg while the entry-level 1.4-liter gasoline engine delivers an average of 47.1 mpg. There are two diesel options and three gasoline options, all of which are turbocharged and feature direction injection, a start-stop system, brake energy recovery, and a thermo-management system. Shifting duties are handled one of three transmissions, depending on the owner’s engine of choice. Offerings include a six-speed manual transmission, a six-speed DSG, or a seven-speed DSG. The seven-speed DSG is new to the Skoda brand and, as Skoda points out (needlessly at this point) can handle torque output of up to 442 pound-feet. It can also be controlled in manual mode with the shifter handle, or with shift paddles when properly equipped. The seven-speed mates to both top-range engines on the diesel and gasoline front while the entry-level gasoline unit gets the six-speed manual. Suspension duties are handled by MacPherson struts up front and a steel, four-link system out back. The power steering system handled with an electromechanical drive system. Active and Ambition trim levels come with 17-inch wheels as standard equipment while 18-inch wheels come standard on the “Style” trim level. Polished 19-inch wheels are available at a premium. The front brakes utilize larger ventilated discs, while an electronic differential lock and electronic stability control helps to keep things from getting froggy during more spirited driving. Optional equipment includes Driving Mode Select, which offers Normal, Eco, Sport, and Individual modes. Models equipped with all-wheel drive also benefit from a Snow mode that uses the ABS, ASR, and ACC systems to control wheel spin and keep things from getting too out of control. At this point, there have been no specifics that detail any type of pricing schedule for the upcoming Kodiaq. With competing models from Audi, Mercedes, and BMW starting out between $38,000 and $41,000, it’s probably safe to assume the Kodiaq will sport a similar price tag. Of course, the Kodiaq is showing up to the party late, so starting out with a price point in the $36,000 range could give it the upper hand. If suits over at Skoda are smart, they’ll take that into serious consideration before launching the new Kodiaq. The BMW X3 has been a rather popular selection in the SUV market, and Bimmer has been working hard to keep the model as fresh as possible. Despite receiving a facelift for the 2015 model year, BMW has been busy putting together the next-gen model that is expected to arrive for the 2017 model year. Of course, the X3 is already pretty damn good as it is, so don’t expect too much from the redesign, as it will be more of a fine tune that anything. It might actually grow a little bit, increasing passenger comfort and cargo space, while also taking on some newer technology compared to the current model. As of the time of this writing, the current X3 goes for anywhere between $38,950 for the entry-level model and $42,450 for the range-topping trim with a 3.0-liter six-cylinder. Pricing will probably increase for 2017, but it probably won’t increase more than $1,000 across the board. 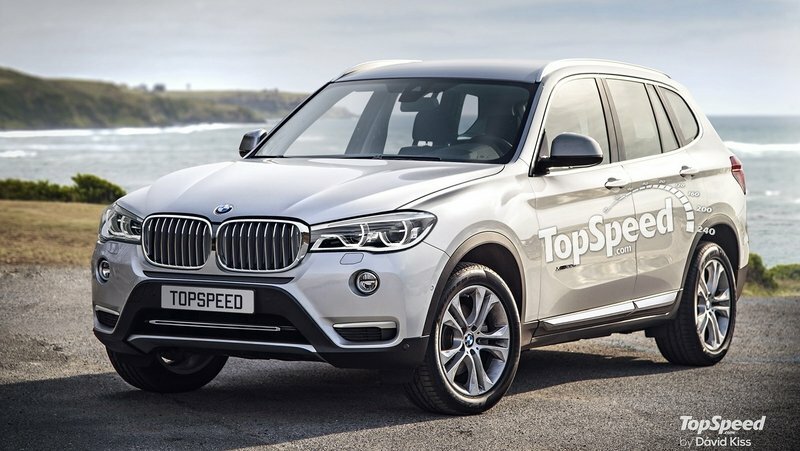 Read our full review on the BMW X3 here. The GLC came to be as a replacement for the aged and overworked Mercedes GLK-Class and was new in Mercedes’ lineup for the 2016 model year. As such, it was also given some more time in the incubator, so it is actually a little bit bigger than the outgoing GLK. 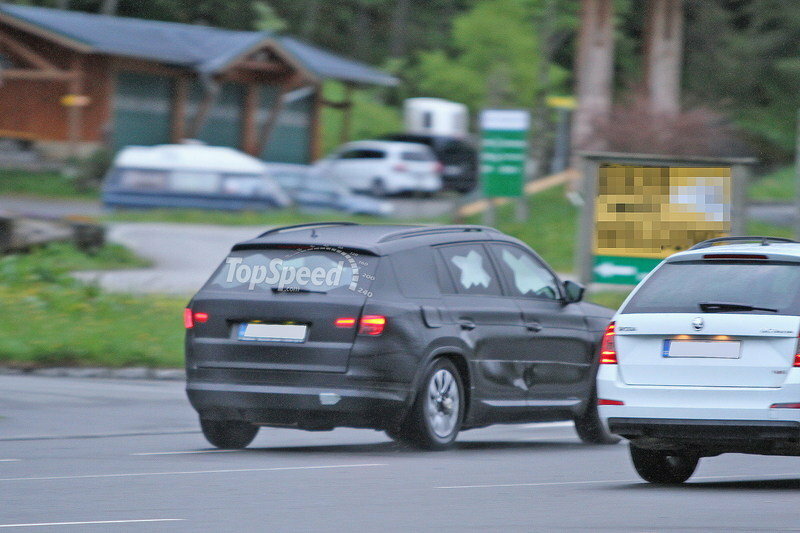 Even more important, the GLC looks more like the larger GLE-Class as opposed to the outgoing GLK. The interior is luxurious and comfortable with a high-sitting center console, flat-bottom steering wheel and a tablet-like infotainment display perched on the center stack. 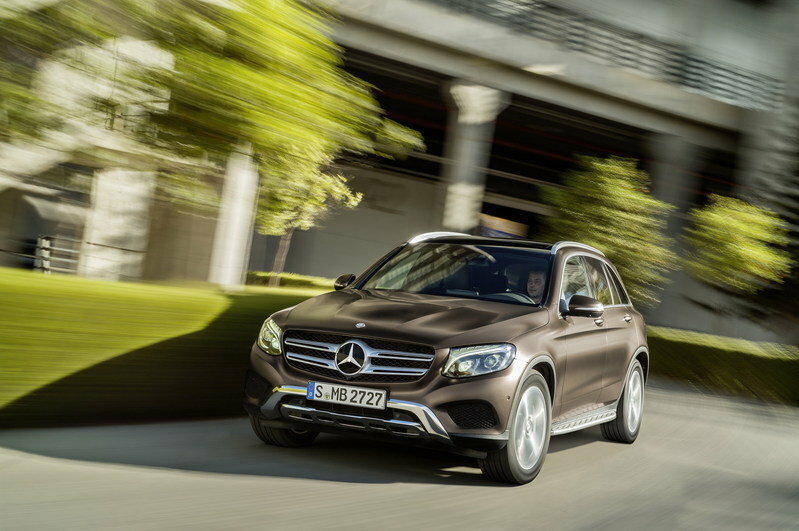 In the U.S., the GLC is available with a 2.0-liter engine and is offered in two-wheel and four-wheel-drive forms. That engine delivers 241 horsepower and 273 pound-feet of torque. Of course, over in Europe, there are more engines available, including a 211-horsepower gasoline engine, a 170-horsepower diesel engine, and a 327-horsepower hybrid. At the time of this writing, The GLC300 starts out at $38,950, with the 4Matic model going for a $2,000 premium. Needless to say, Skoda better come correct with the Kodiaq if it expects to stand a chance against the GLC. Read our full review on the Mercedes GLC here. Now I do have to say that this is a pretty nice ride overall from a company like Skoda, especially as the brand’s second crossover or SUV. However, There’s a little too much Audi DNA here. While I haven’t had a chance to actually look at the new Kodiaq in the metal quite yet, I am willing to bet that there are a lot of interchangeable parts between the Audi Q7 and the Kodiaq – at least on the outside anyway. It’s still not a bad ride for Skoda, but I was really hoping to see more uniqueness than what we see here. With the exception of the different grille up front and the taillights out back, this is almost what I would expect to see out of the next facelift of Audi’s Q lineup. Last time I looked, Skoda was doing pretty well for itself, so I don’t think it would have hurt to bring some new design talent into the mix for the Kodiaq. Oh well, laziness is something I’ve come to expect from just about every company under VW’s umbrella. 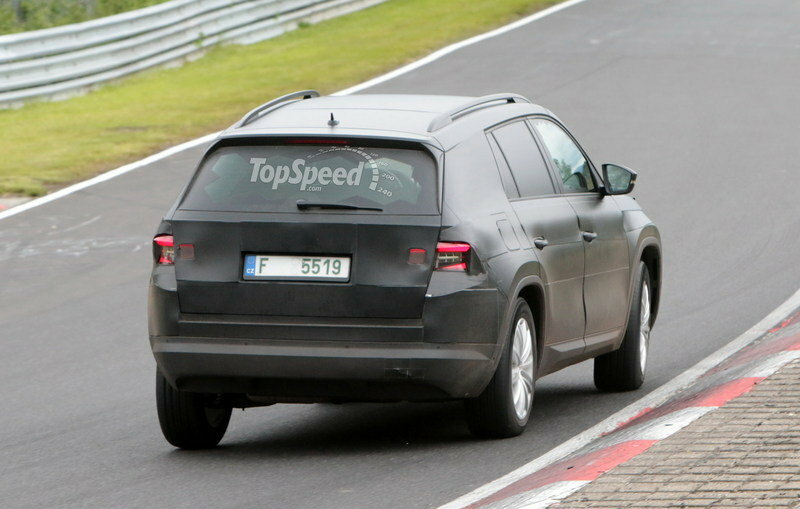 Updated 06/22/2016: Our spy photographers caught the upcoming Skoda Kodiaq out for a new testing session, this time around the famous Nurburgring race track. 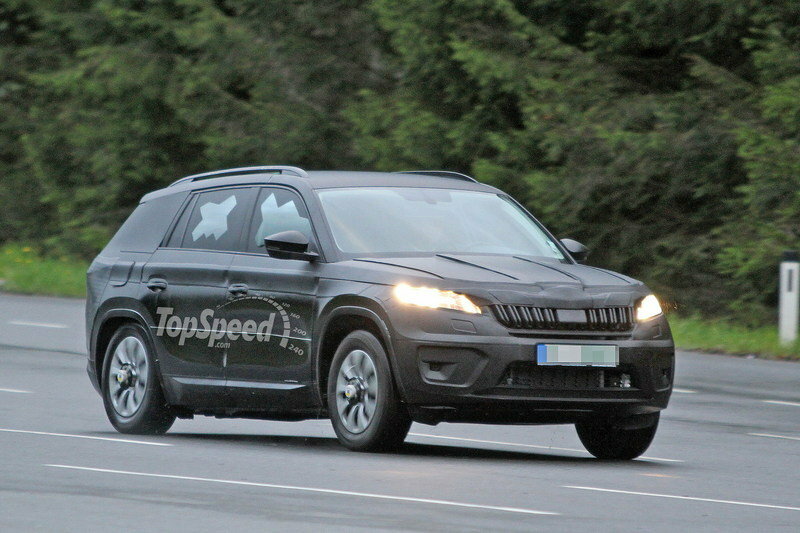 Update 06/16/2016: Skoda has released a set of renderings for the upcoming Skoda Kodiaq, which means an official debut isn’t far away. Check out the new renderings in our speculative review below. Ahead of its world premiere on 1 September in Berlin, ŠKODA has revealed images of the KODIAQ, its new, large SUV model. They give an impression of how ŠKODA will transfer the brand’s new expressive design language into the SUV segment. The ŠKODA KODIAQ aims to impress: the wide, three-dimensional radiator grille gives the KODIAQ a striking presence. 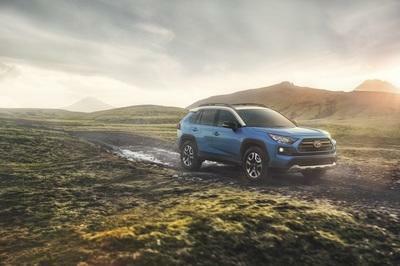 In combination with the narrow, raked headlights, which are available with full-LED technology for the first time, the brand’s first large SUV will be instantly recognisable on the road. The side and rear views are also sharp: the doors are athletically shaped and the tailgate is expressively sculptured. The rear lights, with LED technology as standard, shine in the typical ŠKODA C-shape. 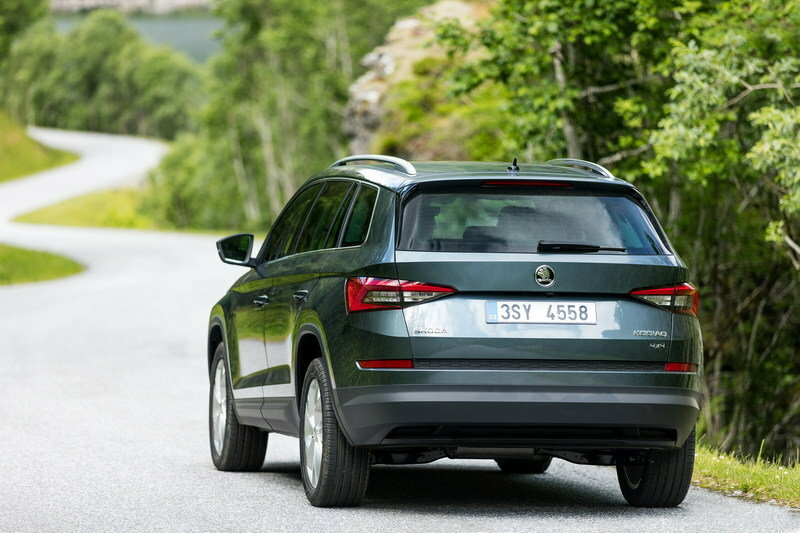 As one would expect from a ŠKODA, the KODIAQ offers an exceptional amount of space, with a capacity of 720 to 2,065 litres (with the rear seats folded down), offering the largest boot within its class. 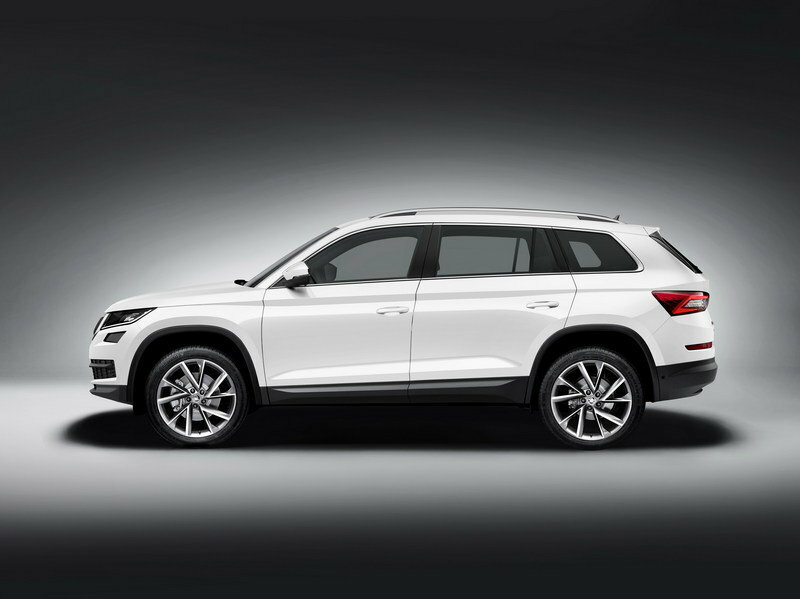 For first time ever, ŠKODA will offer a seven seat option. Using the position of the seats and angle adjustment, KODIAQ can be adapted to offer a wide range of seating and loading solutions. With the front passenger seat down, the car can transport items up to 2.9 metres long. The latest driver assistance systems ensure improved safety and comfort. Area View, using surround-view cameras with wide-angle lenses at the front and the rear as well as in the wing mirrors, displays various views of the car’s immediate surroundings on the in-car monitor. These include a virtual top-down view and 180-degree pictures from the areas to the front and rear. Tow Assist is also new to the range: When towing, the system takes over steering when reversing slowly. Additionally, while reversing, the new Manoeuvre Assist will brake as soon as an obstacle is detected behind the vehicle. 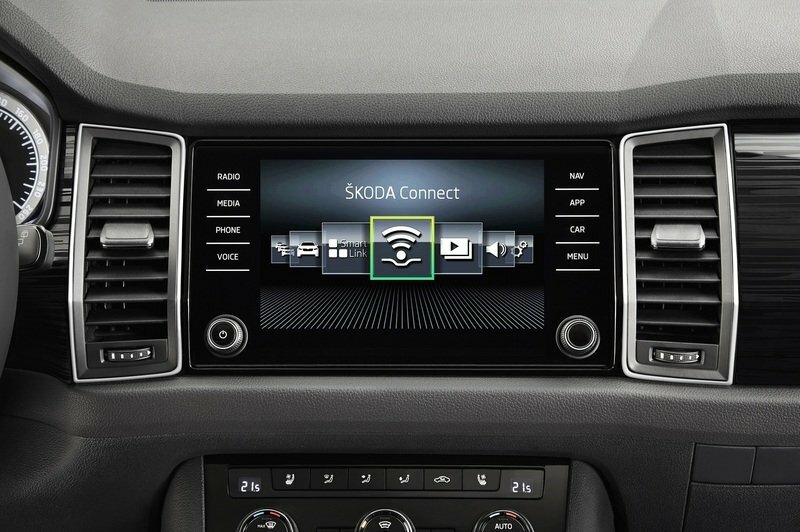 The ŠKODA Connect mobile online services are another innovation. They are divided into two categories: the Infotainment Online services ensure more information and navigation in real time, and the Care Connect services provide remote access as well as assistance. The centrepiece of the Care Connect services is the emergency call following an accident: if an airbag is activated, a so-called Emergency Call (e-Call) automatically connects to an emergency call centre. 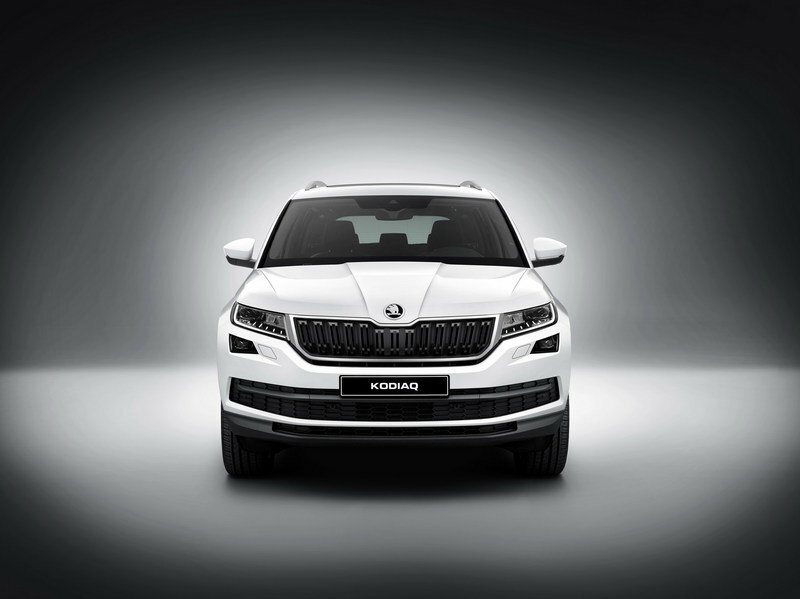 The ŠKODA KODIAQ will celebrate its world premiere on 1stSeptember 2016, in Berlin.